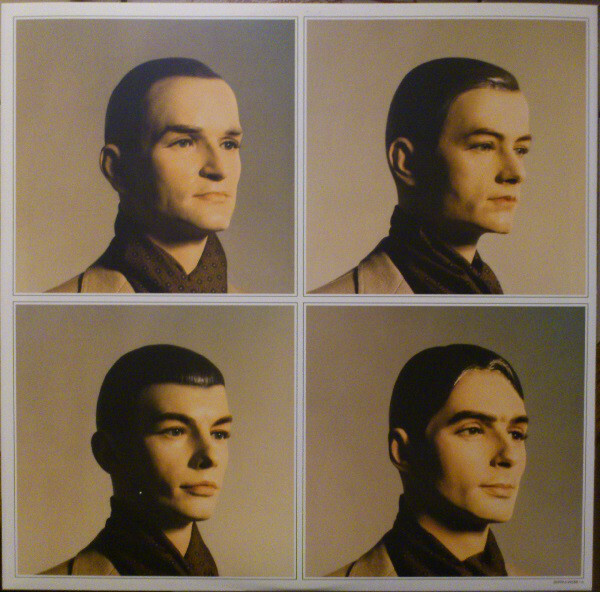 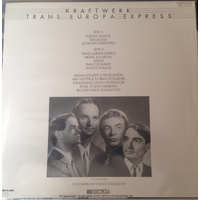 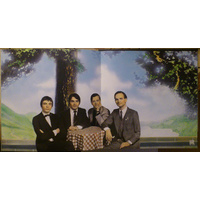 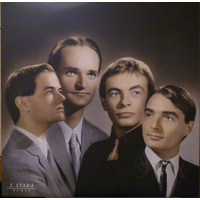 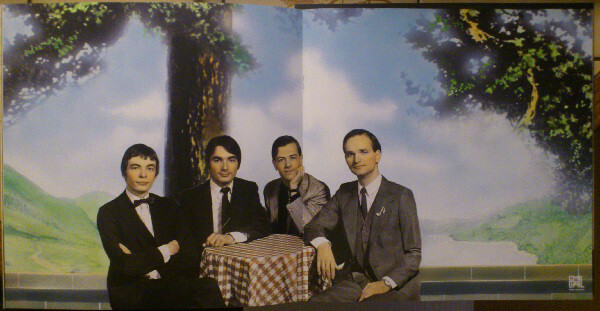 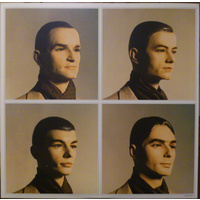 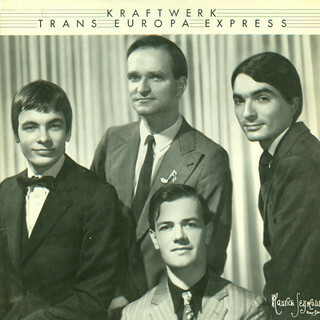 Although Autobahn was a left-field masterpiece, Trans-Europe Express is often cited as perhaps the archetypal (and most accessible) Kraftwerk album. 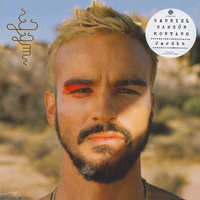 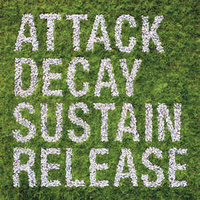 Melodic themes are repeated often and occasionally interwoven over deliberate, chugging beats, sometimes with manipulated vocals; the effect is mechanical yet hypnotic. 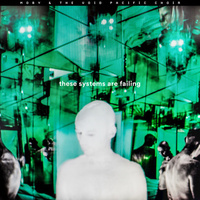 Thematically, the record feels like parts of two different concept albums: one a meditation on the disparities between reality and image ("Hall of Mirrors" and "Showroom Dummies" share recurring images of glass, reflection, illusion, and confused identities, as well as whimsical melodies), and the other the glorification of Europe. 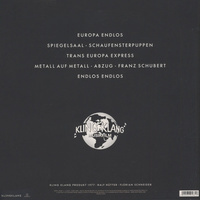 There is an impressive composition paying homage to "Franz Schubert," but the real meat of this approach is contained in the opening love letter, "Europe Endless," and the epic title track, which shares themes and lyrics with the following track, "Metal on Metal." 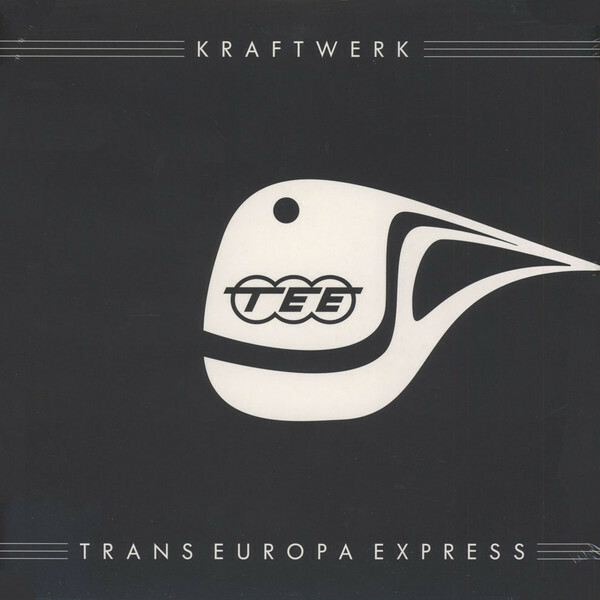 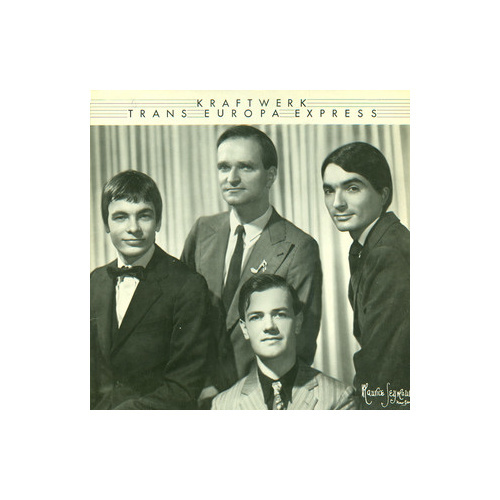 The song "Trans-Europe Express" is similar in concept to "Autobahn," as it mimics the swaying motion and insistent drive of a cross-continent train trip. 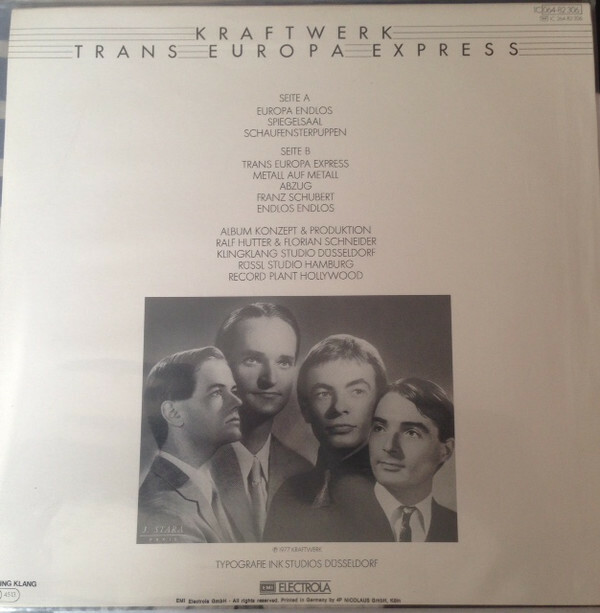 What ultimately holds the album together, though, is the music, which is more consistently memorable even than that on Autobahn. Overall, Trans-Europe Express offers the best blend of minimalism, mechanized rhythms, and crafted, catchy melodies in the group's catalog; henceforth, their music would take on more danceable qualities only hinted at here (although the title cut provided the basis for Afrika Bambaataa's enormously important dancefloor smash "Planet Rock").